Hi Everyone! 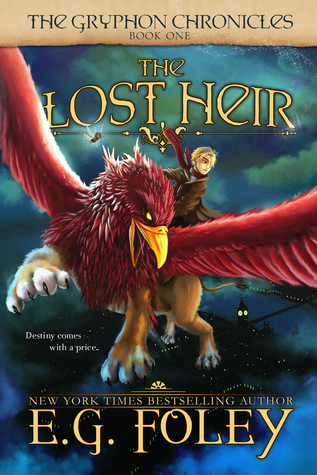 I just wanted to let you know that on May 1st, I will be giving away 10 autographed hardcover copies of my middle grade fantasy adventure novel, THE LOST HEIR (written under my kidlit pen name E.G. Foley). It's Book #1 in my bestselling children's series, The Gryphon Chronicles (pictured above). These are beautiful, durable, high-quality hardcovers that retail for $19.99. So, if you love epic middle grade fantasy books in the same genre as Harry Potter, or know someone who does, then sign up below for a chance to win! I am wondering when Portia's story from Moonlight Square will be coming out?